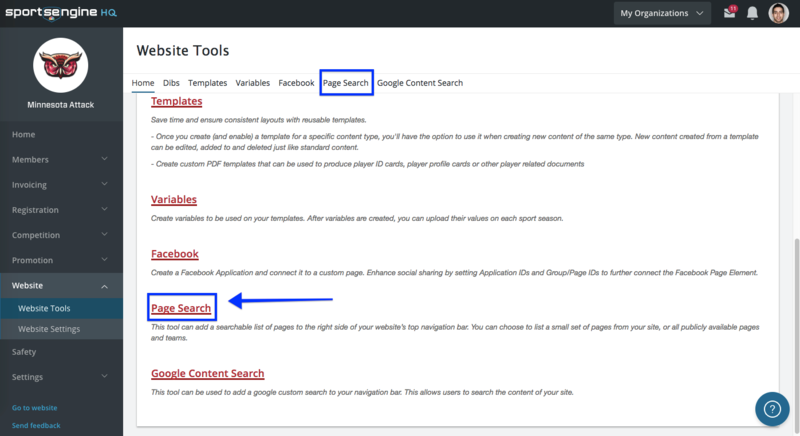 How do I add a Page Search to my Website? You can enable website visitors to type in information to search the organization's website. Note: The maximum amount of pages is 64KB, which is around 1,000 pages. How do I add a Custom Google Search to my website?